The Galaxy Note 3 is one helluva of a special device, when it is not helping it's owner to capture special moments in the office, at home or taking that world famous selfie, it's probably beating a full featured Canon 5D Mark III in a video test. 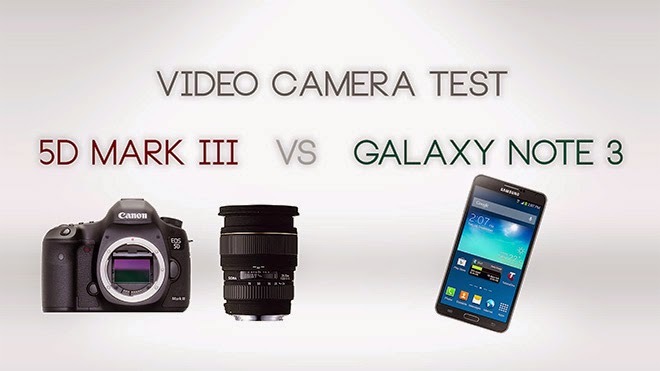 Photographer Alec Weinstein just posted a video comparison of the Galaxy Note 3 and the Canon 5D Mark III. The video was shot in 1080p on the Mark III and 4K on the Galaxy Note 3 (which was later downscaled to 1080p) and the Galaxy Note 3 came out tops in the video comparison. The video just goes to show just how capable these little devices that we have in our hands really are.